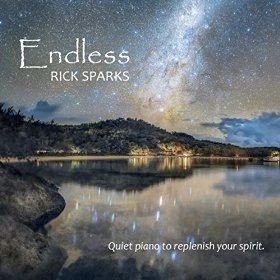 Half Moon Bay is pianist/keyboardist Rick Sparks’ fifth album to date and is a combination of seven original compositions that celebrate the peaceful nature of being by the ocean plus three instrumental arrangements of songs by Brian Wilson (The Beach Boys). Right upfront, I want to stay that there are no toe-tappers on this album - Wilson’s pieces are quiet and serene - no “I Get Around” or “Little Deuce Coupe” (although that could have been interesting with strings and “angel voices.” But I digress!). To quote Sparks: “There’s something special about the ocean. The beach is a great place to relax, meditate, commune with nature, fall in love, nurture love or just escape from the pressures of everyday life.” There are so many different moods and colors of the ocean, but Sparks keeps this album centered on the tranquility of calm seas and gentle breezes. As a result, the tone of the album stays very even throughout - no storm warnings or pounding surf. So, if you are looking for a real stress-buster to unwind with or to set a warm and cozy mood, Half Moon Bay should do that for you! Half Moon Bay begins with “Sand and Stars,” a piece for piano, strings, guitar and wordless vocals. This piece could be used to define the word “peaceful” with its slow graceful flow and sense of complete calm. Images come to mind of a night with a full moon and brightly sparkling stars reflecting off of the water as it gently laps at the shore. The title track is the first of Wilson’s songs on the album. Named for a small coastal town on the central California coast, the piece first appeared on one of Wilson’s more recent albums (2015) and reflects on the inner peace that Wilson found later in life. 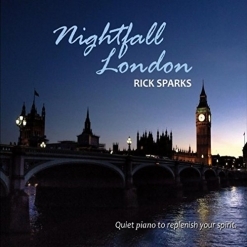 Guitar, flute, layered voices and synth strings are the primary instrumentation in this beautiful piece. The title for “Sunlight In Her Hair” comes from a line in The Beach Boys’ “Good Vibrations” and is mostly acoustic finger-style guitar and synth strings - slow, melodic and smooth as glass. “You’re So Nice” is the only piano solo and captures the sweet innocence of first love - a favorite! Much more ambient, “First Light” was inspired by the peace and solitude of an early-morning sunrise over the ocean. 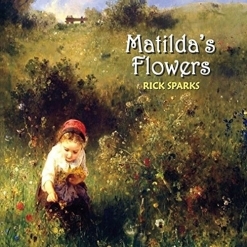 Piano, layered voices, and synth effects evoke gentle pastel images and soothe the soul - also a favorite. “Lonely Sea” was originally recorded in 1962, early in The Beach Boys’ career. It begins with the sound of crashing waves before strings, flute, guitar and voices express the deeply poignant nature of this beautiful song. “Summer’s Gone” was on The Beach Boys’ final album in 2012. Piano, strings and voices create feelings of longing and nostalgia while reflecting on the warmth and beauty of past memories. I think I’ve turned into one big puddle, but it sure feels good! Half Moon Bay is one of the most relaxing albums I’ve heard in a while, so if you need a little calm in your life or know someone who does, this is an excellent choice! It is available from Amazon, iTunes and CD Baby.